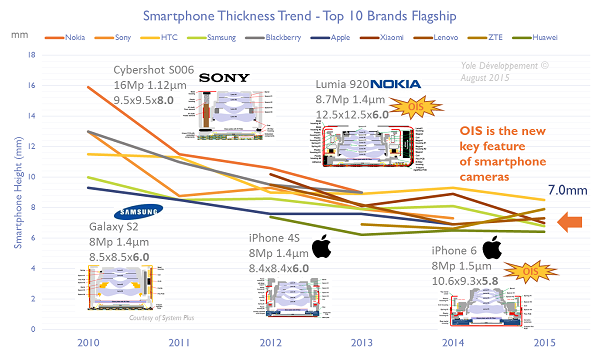 Image Sensors World: Yole: Apple Camera Innovations Slowing Down? "We’ll have to wait another year for the iPhone’s big hardware update. Video is the new innovation paradigm, followed most likely by 3D imaging within a few years. Now that the competition is closing in on Apple’s proposition, Apple must make a significant technological leap forward. Our take on this is that such a leap is definitely possible, and even underway. It could involve the Linx technology Apple acquired last year, the integration of STMicroelectronics’ laser ranging technology, and probably even more..."